When a nursing home patient sustains an injury during an admission and dies, the family of the deceased may pursue a wrongful death lawsuit to recover compensation for their loss. Here are some examples of how wrongful death cases involving Illinois nursing homes have played out from a settlement and verdict perspective. 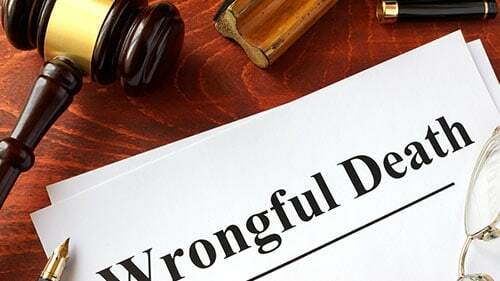 While the below information may be informative, the prosecution of nursing home wrongful death cases is extremely complex and each case must be evaluated on its own merits. Rosenfeld Injury Lawyers LLC is committed to holding negligent nursing homes accountable when their inattention results in the death of a patient. Contact our office for a free review of your situation and allow our team to get you the maximum settlement you are entitled to under the law. In this bizarre situation, a 73-year-old male patient at a nursing home tried to fashion a rope out of his sheets so that he could climb out of his room on the second floor. It did not work. He fell while attempting to climb down and died. The man was survived by his wife and five children. They sued the nursing home for damages because they said it negligently caused his untimely death. Their complaint stated that it failed to provide the proper standard of care to the many by neglecting the man’s psychological troubles, failed to provide qualified professionals to care for him, and failed to secure the windows where the man exited the building. The nursing home replied that even if the plaintiffs’ allegations were true, they did not cause his death. Also, it claimed the man was contributorily negligent by exiting a window in a fashion he should have known was dangerous. Thinking it had a strong case, the nursing home refused any idea of a settlement. This was unfortunate because the jury found for the plaintiffs for $2,654,703. An elderly woman was trying to find her way back to her room when she came across a stairwell. Thinking she was on the right track, she started walking down it but fell halfway and broke her neck. Unfortunately, she died from the injury. Her estate sued the retirement center and argued that their negligent supervision and management caused the accident and death. Not seeing any better alternative available, the defendant nursing home persuaded the plaintiffs to settle the case for $1,950,000. The victim in this incident was admitted to a nursing home following surgery at a local hospital. She was 84 years old and suffered a stroke not long after entering the facility. The woman died shortly thereafter. Representatives of the woman’s estate filed a negligence lawsuit against the nursing home to recover damages for her wrongful death. They alleged the home did not give her sufficient medicine or run proper tests to monitor her condition after the surgery to prevent side effects such as a stroke. The nursing home answered that in fact had administered proper treatment and medications and that the stroke happened anyways. This case never got to trial because they settled for the remaining portion of the defendant’s insurance coverage: $914,673. This case is interesting because victim not in the nursing home in question but months later after she left its care. The victim was an 88-year-old woman whom the nursing home discharged ostensibly because it believed she no longer needed its care. However, that was not the case. She left with untreated pressure sores , infections, and malnutrition issues that-according the victim’s estate-led to her death four months later. In the lawsuit that inevitably followed, the estate contended that these facts pointed towards the conclusion that the nursing did not meet the proper standard of care in treating the 88-year-old. The defendant nursing home flatly rejected this line of reasoning and, in a common move by other nursing homes, continued to deny any liability but sought a quick and speedy settlement with the plaintiff. They found a consensus at $2,325,000. This case involved some rather unique allegations. The victim involved fell down when another nursing home resident pushed him to the floor. He was taken to the emergency room where it was discovered that he had a broken hip. Not soon after that incident, he died. Next of kin to the man brought a lawsuit because they thought the immobility that resulted contributed to his passing. With more detail, their lawsuit set out that the nursing home should have constructed a safer environment for its residents, it should have provided better care to its residents, and it should have more extensively monitored the interactions of its residents. The defendant nursing home denied these claims and said the man who attacked the decedent should be blamed. However, rather than fight this matter in court, it settled out of court with the decedent’s estate for $550,000. Learn more about this facility here. There is no standardized rule when it comes to evaluating an untimely death at a nursing home. Perhaps the best test for a family, is for them to use their objective intuition to evaluate the care of their loved one. Once you have an intuition, you are welcome to contact our office so the matter can be investigated by an attorney. Our office is uniquely positioned to prosecute nursing home wrongful death cases as we have experience litigating matters across Illinois and have direct contact to medical experts who can be used to quickly evaluate matters.